RYAN Burnett will be looking to win his third professional title in as many fights when he faces Anthony Settoul for the vacant WBC International bantamweight title at the sold-out Manchester Arena on February 27, live on Sky Sports Box Office. Having won the WBO European and British straps in his two previous contests against Robert Kanalas and Jason Booth respectively, it will be a dream night for North Belfast-boy Burnett as he fights in front of hordes of his hometown fans that are making the trip to see Carl Frampton’s world title unification blockbuster with Scott Quigg. The unbeaten British champion will be looking to make a big statement against the French former EU champion who has mixed with four-weight world ruler, Nonito Donaire. Burnett claimed the British crown in his first outing with new promoter Eddie Hearn in Manchester in November with a shut-out win over Jason Booth, and the 23 year-old wants the fans to raise the roof as he looks to add another title to his growing list. “I cannot wait to perform in front of a sold-out crowd with so many fans coming over from Belfast,” said a delighted Burnett. “The atmosphere is going to be electric and that’s going to lift me to a career-best performance. Hearn feels his man can lift another title on the night and this should pave the way for a homecoming fight in his home city – possibly in late April. 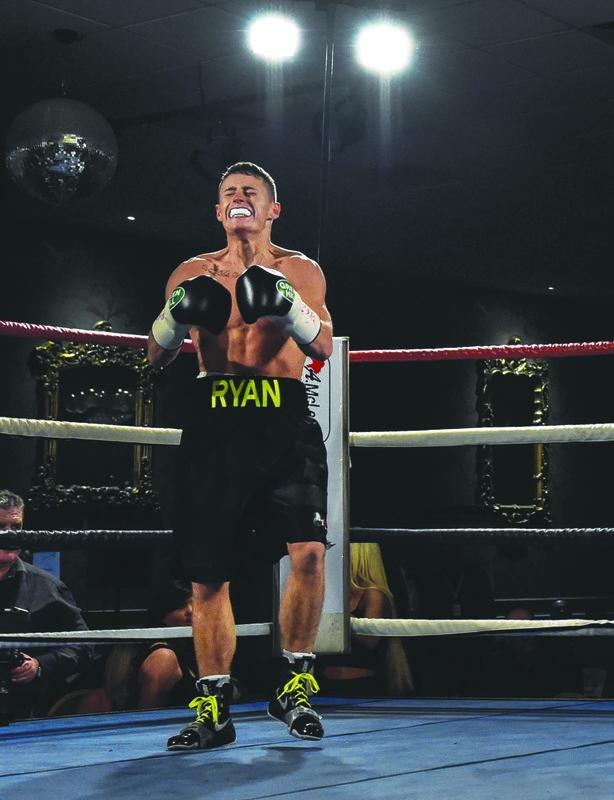 “This is the perfect opportunity for Ryan and the timing couldn’t be better,” said Hearn.